CN636A HP 772 300-ml DesignJet Ink Cartridges print with the same vivid colour and the same professional quality, over and over again. Original HP supplies are designed together with the printer to provide consistent, trouble-free printing. 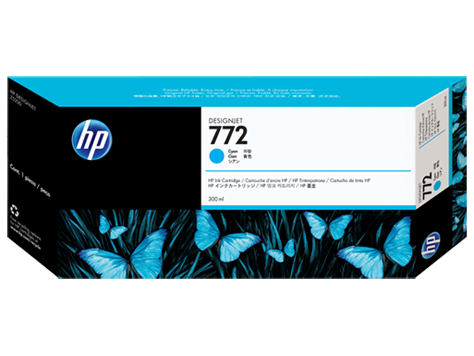 To Recieve updates and possible rewards for Hewlett Packard (HP) HP 772 300-ml Cyan Designjet Ink Cartridge please sign in. To Recieve updates and possible rewards for Printer Cartridge, Ink & Toner please sign in.